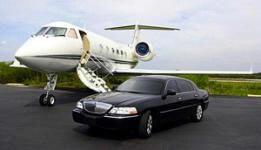 Chicago Metropolitan Limousine Service, Inc. Thank you for considering Chicago Metropolitan Limousine Service where we have offered a wide range of services for our clients since 1988. We provide transportation for a single passenger as well as large groups. We can deliver packages, also. Our fleet includes Sedans, 6-Pass & 8-Pass Stretch Limousines, SUV’s, Vans and Buses (21, 25, 36. 47 & 57 passenger capacity). Our Chauffeurs are uniformed and professionally trained. Our vehicles are all newer models that are inspected weekly and fully insured. All are equipped with GPS navigation. For pickups at the airports, our computer is linked to flight tracker so we automatically monitor your arriving flight. Chicago Metropolitan Limousine Service provides dependable, affordable service to all our clients whether for personal or corporate travel. Our friendly and helpful staff is available to take your reservations or just quote you a rate. Let us be your full service transportation provider in the Chicagoland area. Chicago Metropolitan Limousine Service, Inc. - © 2009 All rights reserved.